Xin's Independent Trading for 5-18-2016: Another Silver Profit! Xin’s Independent Trading for 5-18-2016: Another Silver Profit! Hi, I hope you enjoy reading about my personal trading, it is a hobby for me. However, there is a much easier, fully automated tool that you can use to make money trading currencies. If a fully automated system that you set and then just watch your account grow daily is more up your alley, then check out the RYZE.AI system from Hodo Global and see how to make money trading currencies. Hodo Global and RYZE.Ai make it easy. I just love it. Now back to my personal trading. A slow day today. Not many signals, kind of like watching paint dry. I was able to do a short term Silver trade on top of the multi-day Silver trade I was already in. So, that was a plus. Otherwise, not much going on for us today. One of those boring days that test your patience and temp you into marginal trades. Luckily I am getting better at resisting. I have included some more Silver information on silver mining, which I hope you find interesting. If you would like to learn about trading currencies, please see my other posts and contact me. I was very careful with this trade. the longer Silver signals are shorts and this is marginal and this is long. If it were a 5 minute chart I would worry less. I am only taking one position and have put my stop loss tighter. I placed it at the green entry line. This hit the first profit target and I was out of the trade. This worked out but I was very concerned about being long when the longer time frames were short. In this case I was able to make a short term profit. This trade from yesterday turned out well. It soared way past the third profit target. This Silver trade from earlier wrapped up with some nice profits. I an strongly considering moving to capture the third profit target by taking three positions on silver trades, but I haven’t decided yet. I do not want to over trade. 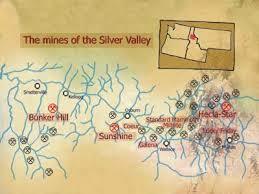 Today I am highlighting the Sunshine mine one of the prolific silver mines from the Coeur d’Alene Valley in Idaho. By early 1880 the Blakes had again relocated to the Coeur d’Alene Valley in Idaho where they homesteaded at the mouth of a stream named Big Creek; located midway between the present cities of Kellogg and Wallace. Here the Blakes farmed for several years, until, in September 1884, they happened to locate ore deposits up Big Creek Canyon from their homestead. It was these deposits, namely the Yankee Lode mining claim, that the Blake brothers staked in late September 1884.The Sunshine Mine is located between the cities of Kellogg and Wallace in northern Idaho. It has been one of the world’s largest and most profitable silver mines, having produced over 360 million ounces of silver since 2001. In the morning of May 2, 1972, a fire broke out in the Sunshine Mine. According to the US Mine Rescue Association, 91 workers died from smoke inhalation or carbon monoxide poisoning; 83 men were rescued, 81 on May 2 and two on May 9. The mine was closed for seven months after the fire, which was one of the worst mining disasters in American history and is the worst disaster in Idaho’s history. Today, a monument to the lost miners stands beside Interstate 90 near the mine. Lessons Learned 1: Compare Different Time Periods for Same Trade. Look at the hourly, 4 hour, and daily charts for confirmation of signals for these and 15 minute charts. The 5 minute charts are such quick trades they can be quick counter trades, but be careful. Lessons Learned 2: Don’t press. Always wait for trade signals with confirmation. Don’t take marginal trades just because nothing is happening. Just be patient. Some days there will be lots and lots of signals and some days few. Not many trades today, just finishing up the Silver trade from a couple of days ago. In the geography section I have highlighted the Sunshine Mine from the Coeur d’Alene Valley in Idaho. I hope you enjoy. As I always say, if you want more specifics on trading, just let me know. 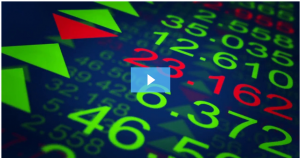 Otherwise, if you want to take advantage of a fully automated system to trade currencies that uses artificial intelligence technology and is a set it and forget it system, check out the videos below. To See How to Get Results with a Fully Automated System, Please Click Here to Watch the RYZE.Ai videos. Anyone who has questions, comments or rebuttals, please leave them in the comments area below or contact me. This entry was posted in Xin's Trading Adventures and tagged currency trading, Forex education, forex trading, Hodo Global, Ryze.ai, Xin Zhang on May 22, 2016 by Xin Zhang.